January 29, 2016 dunsmuirdepotLeave a Comment on Past Winters in the Canyon! Past Winters in the Canyon! The winter of 1890 saw 16′ of snow at Sisson to the North. The snowfall caused the entire railroad to shutdown for nearly 48 days and a train was nearly buried at Sims. The winter of December 1936-February 1937 saw record snowfalls, not even heroic efforts could keep rail lines and highways continuously open. Many Dunsmuir stores had snow tunnel entrances. Winter had the town in a paralyzing grip. Snow was even shoveled by hand onto flat rail cars which were hauled below town; the dirty white stuff disposed of in the river. 180 carloads were unloaded in this way. 181″ of snow buried the Shasta Division for hundreds of miles. The winters of 1949-1950 and 1952 were as severe as the winter of 1937 and were ones that the railroaders remember well. The canyon was hit with storm after storm and before long over 16′ of snow was paralyzing the town and railroad. Everyone in town worked together to keep the rail lines and highway open. Town dump trucks would load flat cars going to Willamette Valley where the snow would melt in the warmer Oregon valley. The men working at Dunsmuir sometimes had severe conditions to stand against but their job was to keep the trains moving and that they did through ingenuity and hard work. The winter of January 1952 saw much snow and December 1952 had another hugh snow storm hit Dunsmuir. The common cause for the railroad was to keep the line open. Giant steam rotaries chewed away while snow filled the cuts amost as fast as they were cleared. 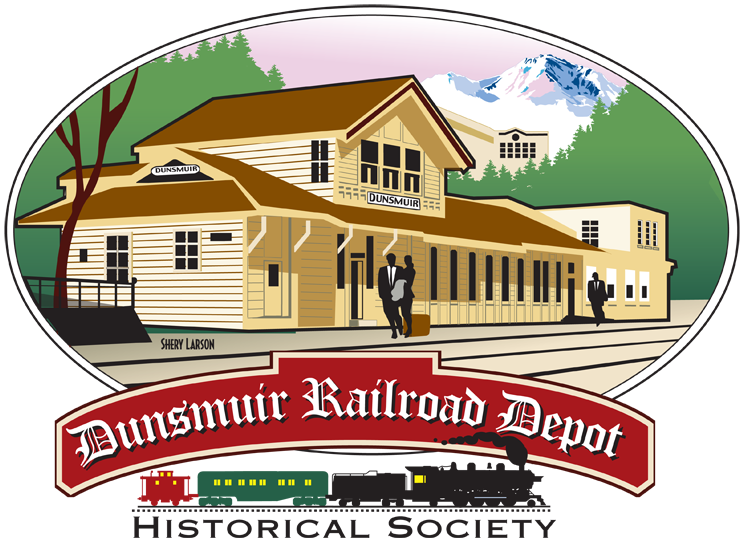 Next Dunsmuir Museum Opens April 2nd!